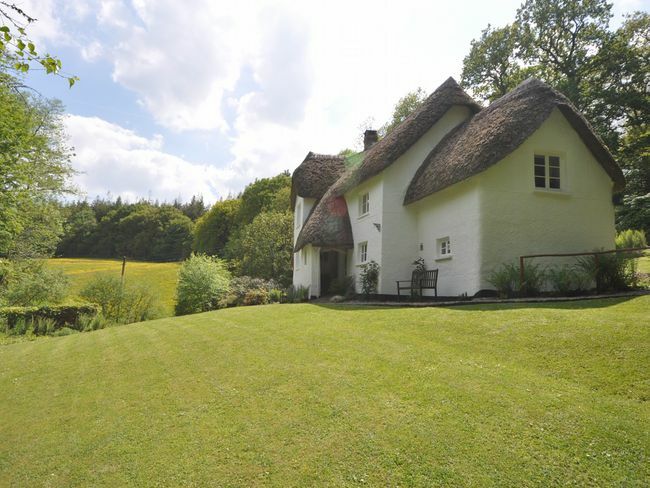 Nestled at the end of a long wooded track this property enjoys a remote location surrounded by nature-rich woodland. 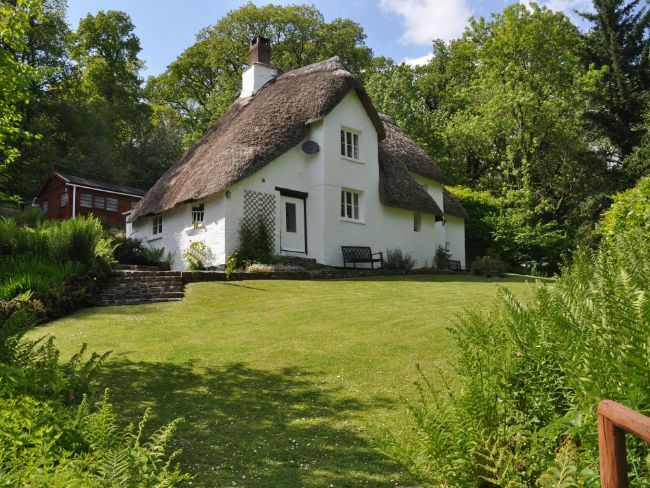 Head out on foot to explore the surrounding countryside or take a short drive to the Devon and Cornwall coastlines where wonderful cliff-top walks can be enjoyed together with visits to traditional fishing villages and golden sandy beaches. 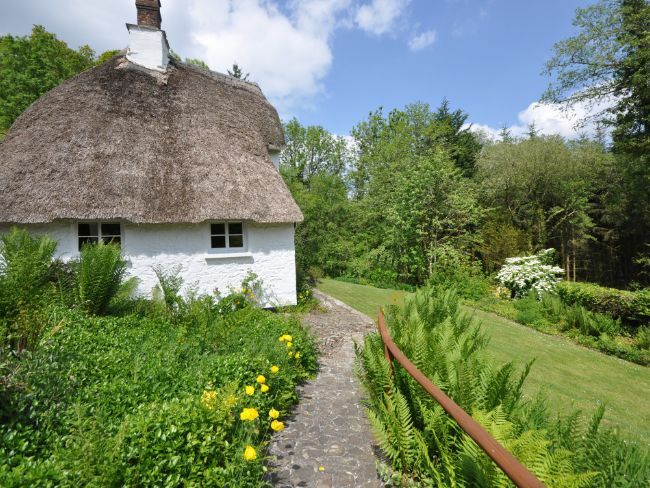 The local market towns of Holsworthy and Hatherleigh are perfect for stocking up on supplies for your stay while RHS Rosemoor Gardens and Dartington Crystal make for inspiring days out. 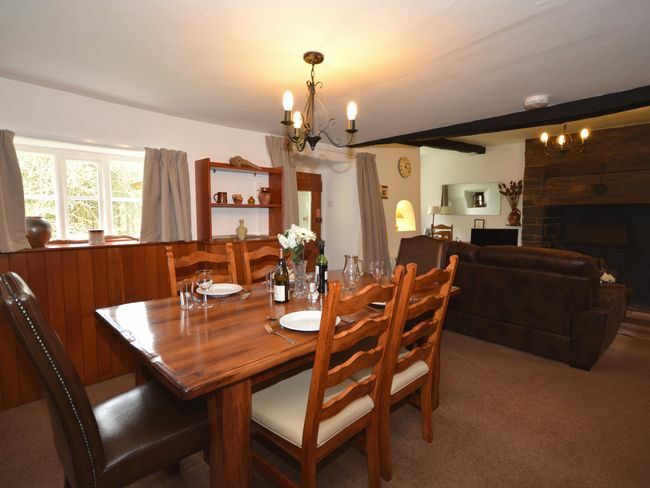 The accommodation has retained much of its original charm from exposed beams to vaulted ceilings and a large inglenook fireplace. 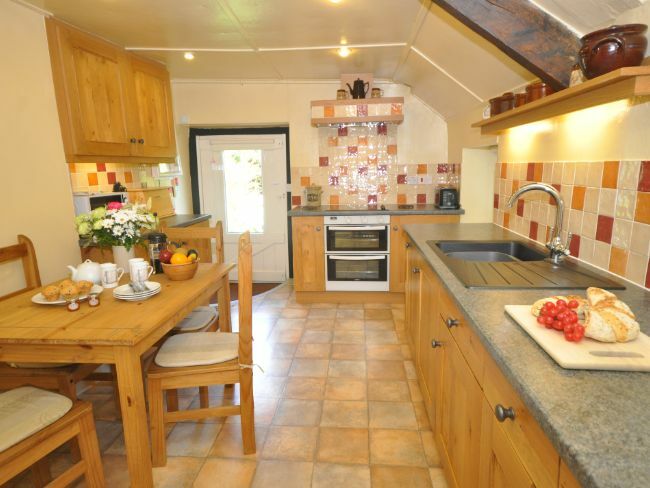 The kitchen is spacious and well equipped containing an electric oven ceramic hob microwave fridge/freezer dishwasher and dining table. 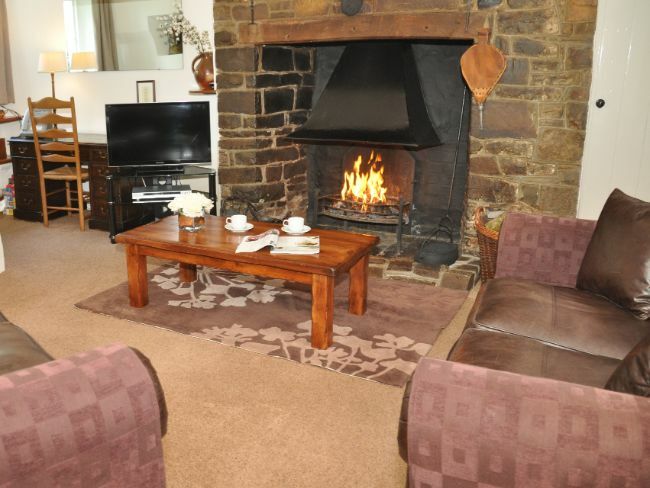 Next door the lounge offers a warm and inviting space in which to relax and unwind after a long day. 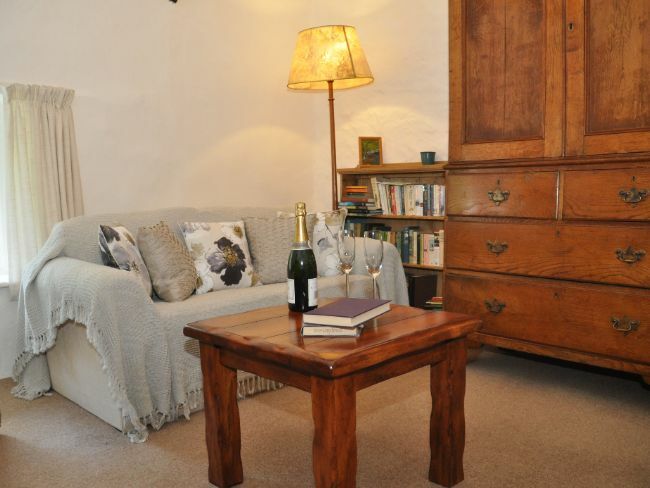 With a dining table open fire TV/DVD and hi-fi this room contains everything you should need for a cosy night in while the snug upstairs offers a peaceful reading space. 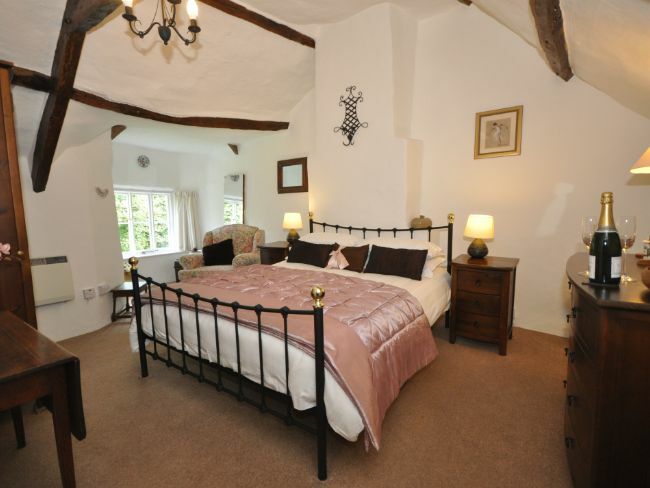 Also upstairs the impressive master king-size bedroom features a vaulted ceiling exposed beams cast iron bed and pretty views through its charming cottage window. 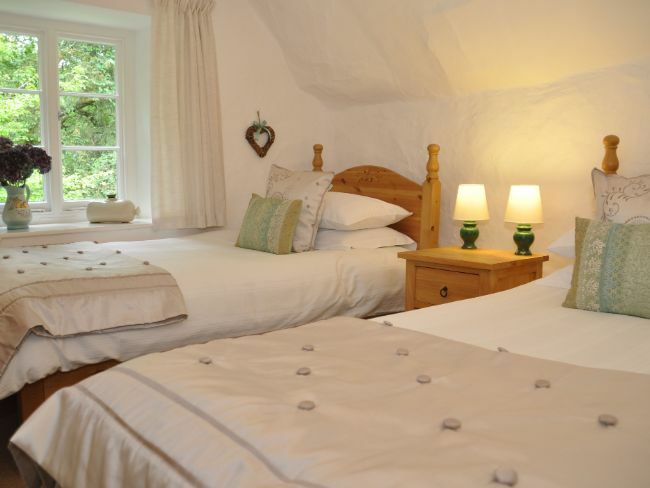 The twin bedroom is accessed via one step down from the snug and reflects the charm and period of the property. 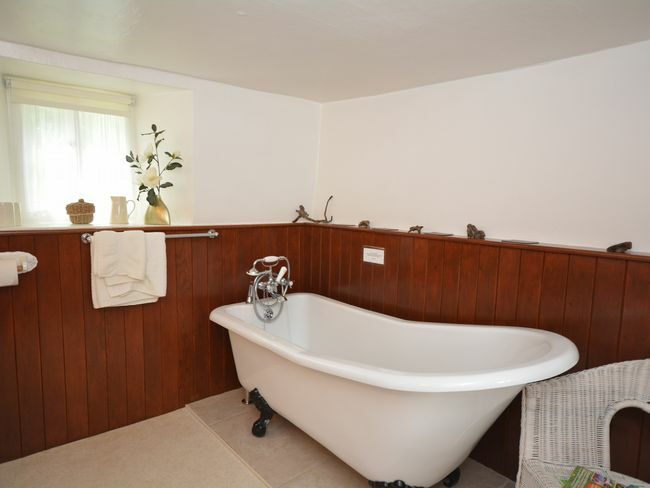 There is a bathroom complete with free-standing roll-top bath and shower attachment and a shower room with washing machine and tumble dryer; both are on the ground floor. 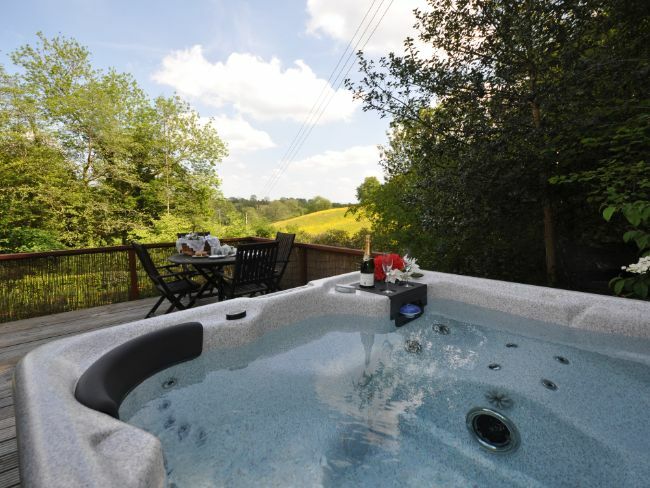 Outside there a decked area with garden furniture and BBQ enjoys stunning rural views while the private hot tub nearby is a luxurious way to unwind after a long day on foot. 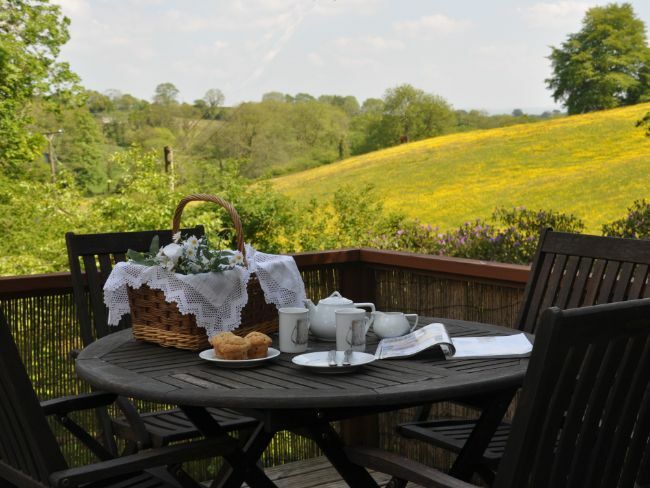 The garden below has been beautifully landscaped and features a babbling stream and seating.